You’ve probably seen LED-decorated t-shirts and hats, and maybe even other electronic gadgets embedded in clothing, but with Arduino Wearables you can learn to make your own wearable electronic creations. 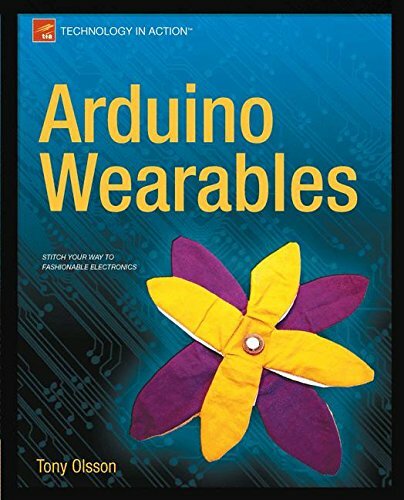 Arduino Wearables is the complete guide to getting started with Arduino and wearable computing. The 10 inspiring projects to make, learn from, and build upon will equip you for creating your own projects; the only limit is your imagination. Electronics hobbyists, Arduino enthusiasts, and fabric artists who want to add something extra to their designs. Even if you’ve never worked with Arduino before, this book is still for you.